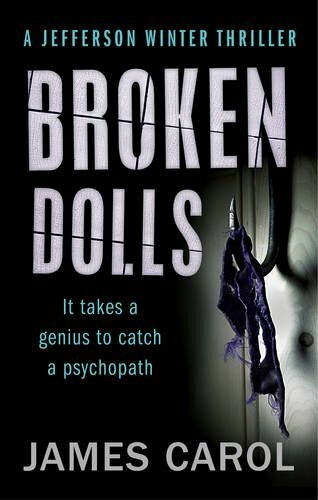 James Carol’s Broken Dolls was a departure for me as it’s been a while since a read a book featuring a criminal profiler. However, I was intrigued by the idea of a British author writing about an American profiler but setting the book in the heart of London. 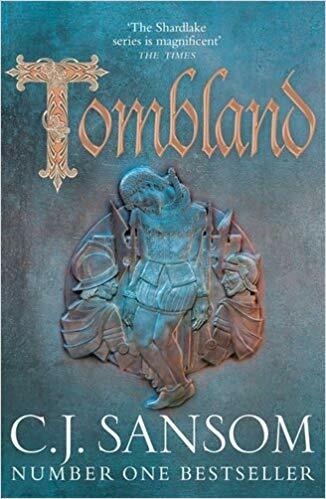 It turned out to be a gripping, and wincing, read. Jefferson Winter is a former CIA investigator and also the son of one the US’s most famous serial killers. Winter’s compulsion to distance himself from his parent’s actions is fuelled by his father’s final words before his execution: ‘We’re the same’. In his latest investigation, Winter sets out to find who is abducting women, torturing them and then releasing them once they have been lobotomised. He quickly discovers the modus operandi of the kidnapper but struggles to identify the true culprit behind the crimes. It’s good once in a while to read a book outside your comfort zone. I don’t usually read this style of book and I’d forgotten how much I enjoy a tense thriller. There are passages written from the point of view of the kidnapper’s latest victim. Because of the case’s high media profile, she is aware what might befall her which adds poignancy to the writing. There are some passages that make you wince. This is as much to do with the threat of violence rather than what is actually depicted. But it does make for an uncomfortable read which adds to the tension. Carol has created, in Jefferson Winter, a compelling character who will work well in a series. I’ve already got the second book to read, Watch Me, which I’m looking forward to already. Sarah – This one would be a departure for me, too, as I don’t usually read serial killer/criminal profiler novels either. I’m glad you found the narrative to be absorbing, and I have to say the Jefferson Winter character sounds interesting as a person. Thanks, as ever, for a well-written review. The family background of Winter is real intriguing and gives a lot of potential for exploring and drawing out of the nuances of the character, back-history etc. He is an intriguing character. I’m looking forward to reading more books. Yes, I agree. And it doesn’t seem contrived either. Interesting review Sarah, a couple of elements there intrigue me, so it might tempt me out of my normal comfort zone! Great, Moira. I’ll look forward to hearing what you think. I’ve been out of touch with your blog in May and June due to a summer class I taught, so it’s now time for me to catch up. I’ve missed keeping up with your reading! Wonderful, Judith. I’n behind in my blog reading too but am having a big catch up this week-end. This does not sound like my type of book (and there are too many that are). But I did like what you are saying about stepping out of one’s comfort zone. I have a lot of books I put off reading because I think they will be too tense and uncomfortable for me (some current authors, some vintage authors of noir fiction), and I want to make an effort to try some of these. I don’t think I have ever read a book about a criminal profiler. Of course, the Frieda Klein series get all the psychology and so on, but would you say Dr. Klein is a profiler? If not, please let me know about the very best crime novel with a profiler as a main character, please!